The brief included the need for a legible street address for the property that would feel like a single family home, and new balconies opening directly from enlarged living areas to take full advantage of the views and northern sunlight. The balcony forms were derived through a delicate balance of providing useable areas while retaining sky view from the ground floor apartment. The project was modelled three dimensionally in CAD to determine the optimum balcony configuration with regard to views, sunlight, privacy and functionality. 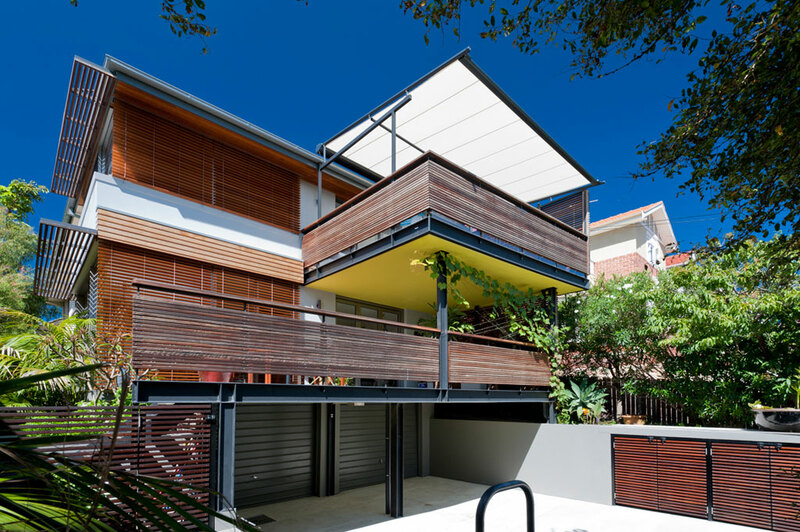 The balconies are concrete platforms in a dark grey steel frame with a vibrant yellow soffit. 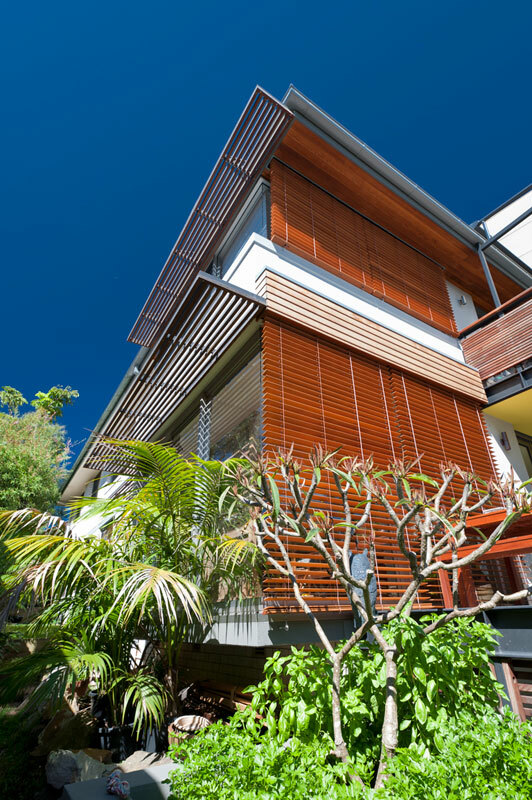 The balustrades are timber batten with solid timber top rail, providing warmth and texture to the elevations, and privacy to the balconies. 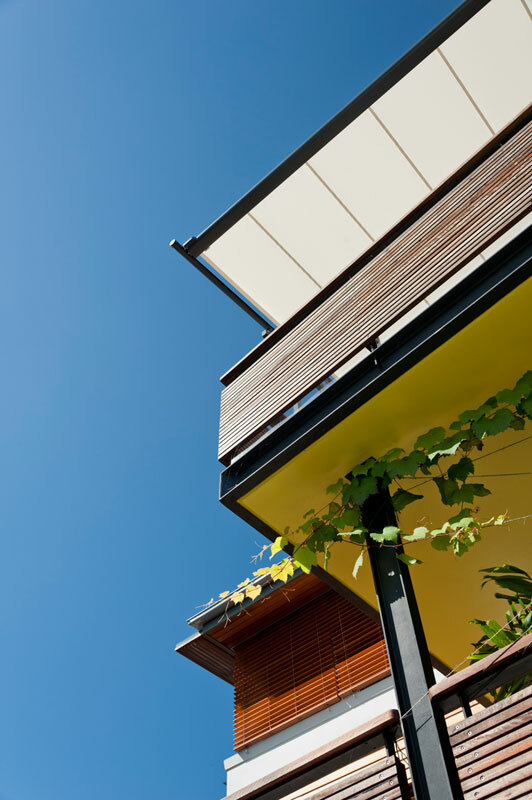 The additions have improved the environmental performance of the apartments, with better cross-ventilation and solar access, and shading from strong summer western sun. Increased living areas open onto generous balconies, new stone steps and landscaping lead up to the front door, and the lower balcony provides an all-weather undercroft for street parties. 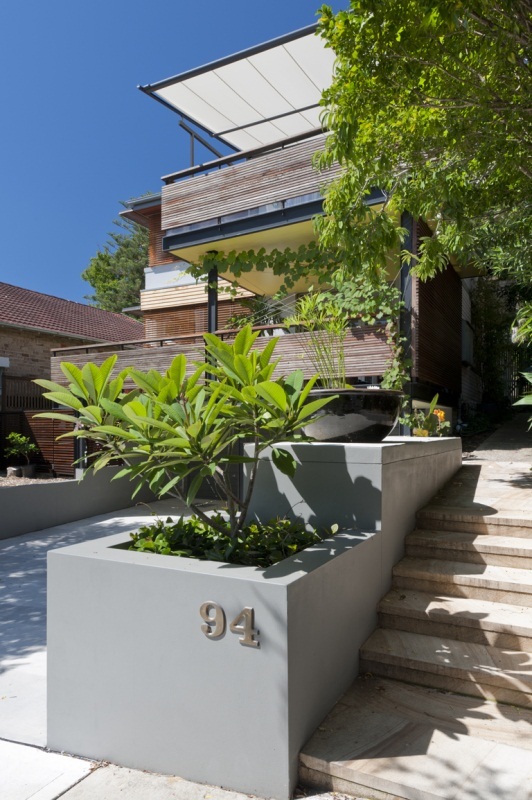 The amenity of the apartments has been significantly improved, and the street presentation transformed to that of a comfortable and contemporary home.